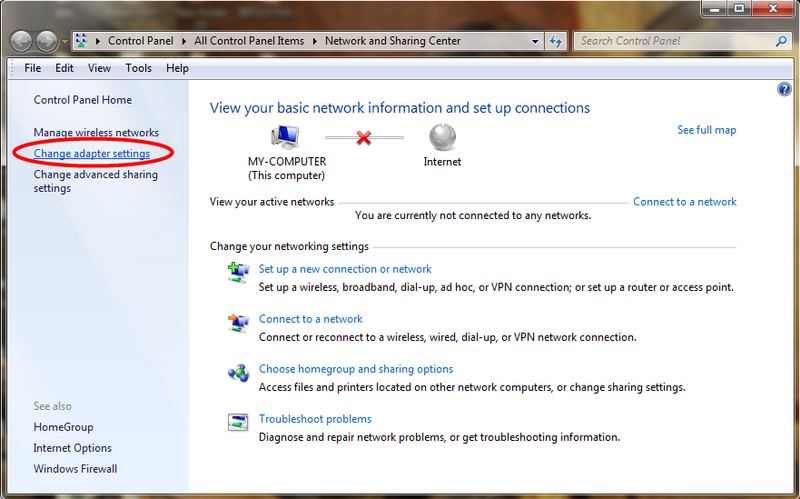 Open Network Sharing Center by Right click on Network icon beside the clock. 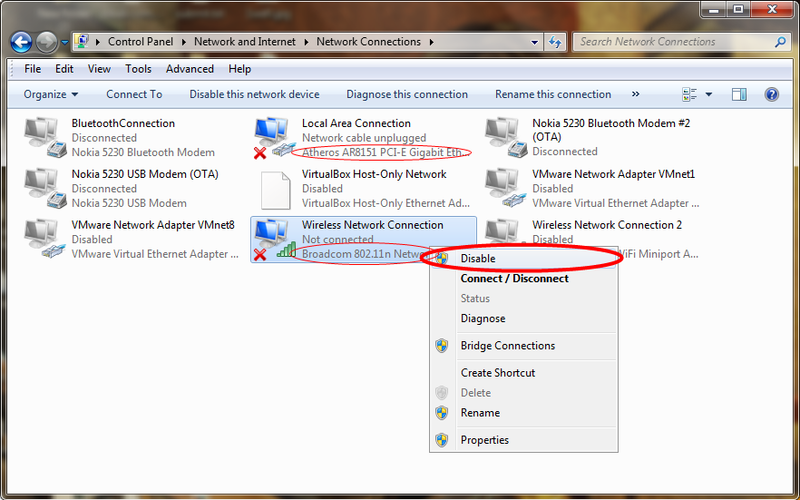 Click on Change adapter Setting link in right side panel. Identify the adapter to be disabled by reading the sub names in each adapter. 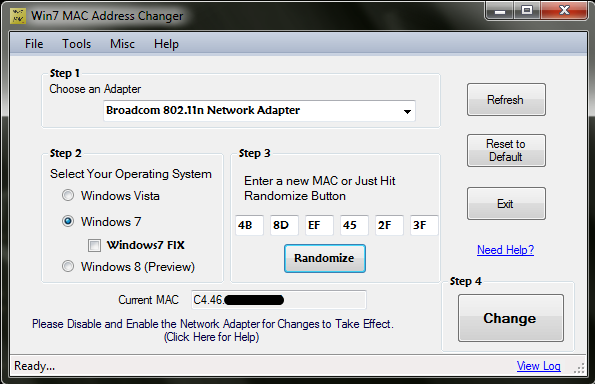 Right click on the adapter and select Disable. 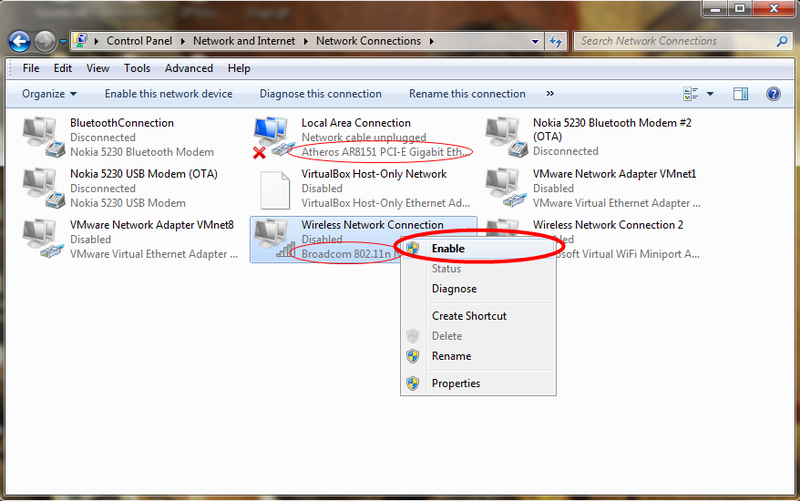 Right click on the adapter and select Enable.